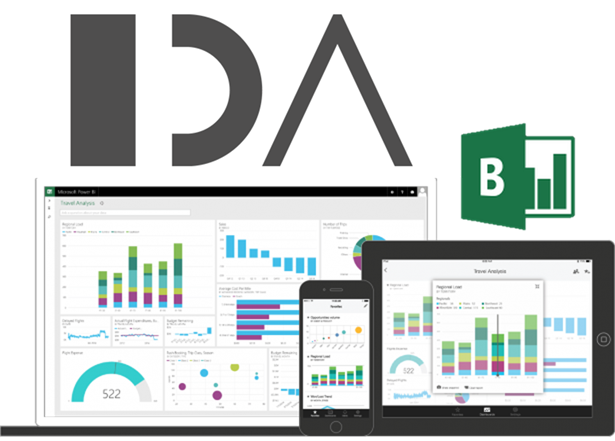 If you live in Denmark and LOVE Business Intelligence you can join my presentation about Power BI at IDA.dk. Is your BI report outdated once you get it, or does your colleagues producing the report look bleary-eyed because they work 10 different systems to acquire the data for the report. Come have a look at the brand new Power BI capabilites and get inspired. You could ask if Power BI, Power Query or Power Pivot is something especially for Power Engineers. And it is not – what it is, is the new generation intelligent Business Intelligence reporting capabilities introduced from Microsoft that leverages the effort in making decision maker or business reports for your organization. Often you will find that somebody in your organization has worked hard for a couple of weeks producing the report that you need to make decisions, update stakeholders or manage your products. These “controllers” have to work different applications or system to retrieve the information and making it ready for reporting, and when the report finally lands on your desk, the information is outdated. Wouldn’t it be nice if your reporting were timely, updated and ready at hand, when you need it. The new business reporting capabilities introduced by Power BI, Power Query and Power Pivot can be developed in Microsoft Excel/Excel Services and placed on the company intranet, so if fact, all you have to do is to open the report that gather data from different and mixed environments. IDA Mechanical, Copenhagen has invited Allan C. Rocha from Projectum who actually made the Microsoft international promo videos available on from Microsoft to introduce all these new possibilities that awaits your reporting. The session is technical and you will benefit most if you know Microsoft Excel well, but please also come if you make business decision based on facts and get an inspiration to how to handle your business data. A one-hour general meeting in IDA Mechanical, Copenhagen, follows this seminar and you are very welcome to attend this also. Included in the general meeting is an option to participate in the dinner at 19.45. Please also sign up for this event on https://ida.dk/event/313706.